The urgent task of European social movements is that of defining their political initiative moving from the acknowledgement that the space of Europe is neither defined nor closed, but is rather the first global space that they must face. It is not for chance that it is always difficult to ascertain what it is meant by «Europe». The name designates sometimes an institutional arrangement – dominated by the financial governance led by Germany -, sometimes a geopolitical space – singled out by the war zones at its oriental and southern borders -, sometimes an economical entity – unified by a single currency that in turn differentiates the center and the periphery. While all these designations describe a portion of reality, a definition capable of grasping what is at stake in the European policies and of showing the possibility and limits of a truly transnational political initiative is still missing. Starting from and moving beyond its institutional, geopolitical and monetary borders, Europe coincides always more clearly with the government of mobility. We call «government of mobility» the set of institutional, economical and geopolitical practices that, while managing and enhancing the mobility of capital, aim at exploiting the movements of the labor force. These are the movements of all those precarious, migrant and industrial workers who, taking to the full the opportunities offered by mobility, with their displacements create a continuous tension inside the European regime of wage. They are also the increasingly urgent movements that lead millions of workers to try to get away from the wage, income and welfare conditions imposed by the government of mobility. While enhancing and fostering the free movement of capitals, the government of mobility constantly bounds the single territorial or productive spaces to conditions of living and of reproduction of the labor force that are functional to the increase of profit. The legislative proposal discussed in Germany in order to prevent European citizens from taking advantage of German welfare when they are unemployed is just the last example of the tendency towards a ri-nationalization of citizenship that aims at the government of the global movements of living labor. In a context by now thoroughly de-nationalized, the new nationalistic connection between labor and welfare does not entail an extension of social rights, but rather produces new hierarchies of labor built upon the internal and external borders of the Schengen area. The policies that regulate the incomes are so much subdued to these hierarchies as those that regulate wages: increasingly removed from the struggles in the working places and from the mediation of the trade unions, both have become by now a State-business. What the Nord-European policies on minimum wages and the 80 € added to the pay slip by the Renzi government in Italy have in common is a renewed intervention of the national governments, whose effects should be measured on a global scale. The government of mobility produces differences and hierarchies that aim at strengthening the command on labor and on social cooperation. If mobility – both of labor and of capital – and its government is the most specific feature of present times, it becomes clear how completely fruitless an initiative centered on the single territories would be. Urban areas so much as the corridors of production are the sites of a mobile geography, where the transit and sorting of labor force and of commodities are daily operations of management, where the telematics command of the virtual factory turns into as a model of administration of the global chains of exploitation and where the hierarchies of income and wage act every day. If capital valorizes itself in this transnational space, along chains of production that connect different conditions of wage and of rights, the very capacity of building efficient labor disputes becomes each day more ephemeral, and the more ephemeral the more they remain inside the boundaries of a single working place or a single social space. Even when trade unions have chosen conflict over their contribution to the factory management they have never been able to trespass those boundaries. Neither a proclaimed internationalism nor the addition of the adjective «social» to their name are enough to regain the ground lost by the unions in front of the new State interventionism that has nullified their function as social mediators by directly managing income and wage in order to de-politicize the work struggles. The government of mobility has been established and accelerated by the austerity politics enforced during the crisis. We are facing a situation strengthened during time and characterized by a radical asymmetry between the movements of living labor – the refusal of being subdued to the regime of wage and to a condition of permanent war, poverty and precarity – and the government of mobility. We must leave behind all expectations of gaining visibility and power through a politics of events, sieges or seasonal rituals. We must acknowledge that we are still missing an organizational proposal which could involve the men and women who move across Europe, which could turn their individual movements and their concrete challenge to the regime of wage into a collective political process of accumulation of power. Neither an exceptional event nor a single explosion of rage will fill that gap. Furthermore, in order to face the problem of organization, we should find a way of escaping the trap of territorialism. For many precarious, migrant and industrial workers a territory is nothing more than a place of transit, where they do not take roots and whence they could always want or need to move away from. For many European and migrant workers, wages and incomes depend completely on the mobility of capital. Therefore, it is hard to think that this condition can be transformed by building territorial fortresses from which global powers shall be assaulted. This trench-warfare imaginary runs the risk of mirroring the presumptions of the government of mobility according to which labor is a local problem which can never establish a global contradiction. Of course, many meaningful experiences rooted into territories exist, but they never achieved a common frame of initiative given their lack of homogeneity. In fact, the problem arises when one tries to unify or at least to coordinate them. The time is come to go beyond the call for a single date of coordination of local or national initiative. 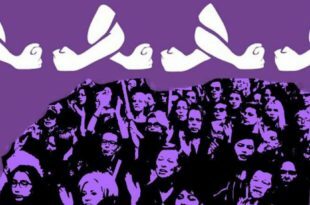 For social movements, the May of Solidarity was a positive experience which strengthened a transnational networking process. However, after few months the problem of a shared initiative, rooted into territories but also into time, remains unsolved. We should ask ourselves whether a common platform summing up the claims of social movements within the global European space is sufficient to achieve this objective. In the last ten years these lists of claims multiplied and grew in order to keep together different struggles and organizations, but they also became always more contingent, since they have been based on the protest against this or that institutional politics. In the logic of «counter-power», movements are doomed to reproduce their existence or experience another defeat. Therefore, we should ask ourselves whether it wouldn’t be more powerful to identify a unitary claim, a claim which could be able to trigger a precarious political communication across territories, working places and European borders, paving the way for new struggles and for a connection of the existing ones. A unitary claim for creating and organizing counterhegemony in Europe and tackle at the core of the government of mobility, the hierarchies that it produces and that it in turn needs to reproduce itself. This claim should not only be a defensive one, but would also allow imagining a victory and therefore will be able to take roots along time in a large process of organization. Lastly, this claim should point out an effective political practice to attack the global chains of exploitation and the transnational process of capitalist valorization. Because of the fragmentation of labor and the differentiation of living conditions it is quite hard to find watchwords that are able to direct mobilizations and struggles along time, as the claim for eight-hours working day did. However, we need something like this, and we believe that the project of a transnational strike for a European minimum wage and a European welfare could be the starting point for a coordinated attack against the government of mobility. During the last years, in Italy and elsewhere, the strike has been practiced in new ways. 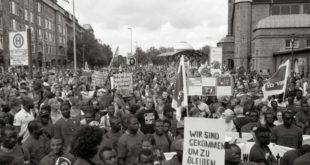 In 2010, on March the 1st, thousands migrant and non-migrant workers turned the transnational watchword «a day without us» into a political practice to oppose discrimination, institutional racism and the exploitation of migrant labor. 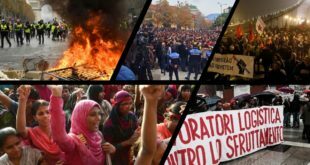 Three years later, in Italy, migrant workers triggered an impressive cycle of struggles and strikes in the logistic sector, thus tackling both the production of profits and the laws on residence permits which support it. They brought the struggle against precarity inside and outside the working places. The great novelty of these strikes was their subject. 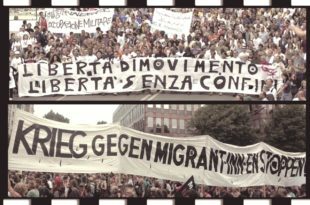 Migrants reconfigured the objectives of the strike: those objectives had to be not only economical but also political, given the legal bonds to which the right to stay in Italy and Europe is subdued. They have been able to connect the everyday struggle against exploitation and a radical protest against its political conditions. The necessity of this connection is what the strikes of migrant workers teach us. However, these and other struggles also show some limits of the practice of strike in the age of mobility. The capacity of blocking the hubs of accumulation and of disturbing occasionally the order of capital is not in itself a capacity of overturning the relation of power on which the effective capitalist command over social cooperation is based. When the conditions of labor are systematically dismantled, there always rise up labor disputes that dramatically involve workers. It is necessary to fight and to win these disputes, but it is also necessary to escape their trap. 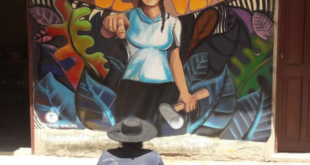 Because of the extreme fragmentation and localization of labor, it is difficult – or even impossible – to generalize their achievements and it is also complicated to turn them into spaces of politicization or re-composition. 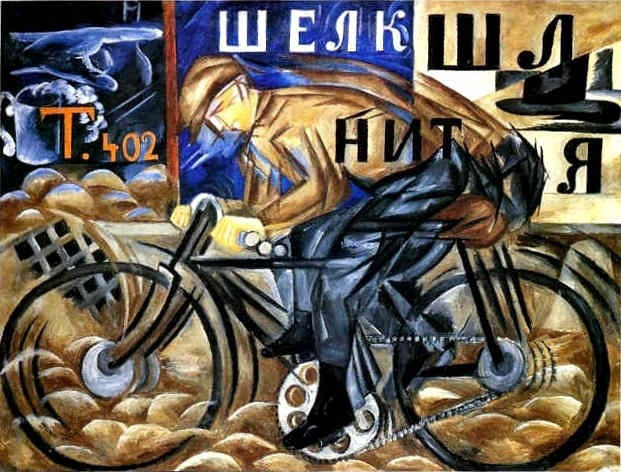 The power displayed by single labor disputes cannot be accumulated without a general frame of initiative. It is necessary to produce a precarious political communication across territories, working places and the European borders in order to escape the traps on our way and to find answers that match up with the form of contemporary capitalist command. 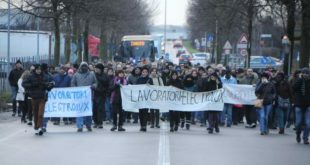 Since this command – both on an individual and on a social and global level – is exerted through the regime of wage and the government of mobility, the claim of a minimum European wage and of a European welfare could be the lever for producing organization across the global chains of exploitation, turning the strike into a political struggle which questions European institutions and crosses the borders of territories and of particular working places. 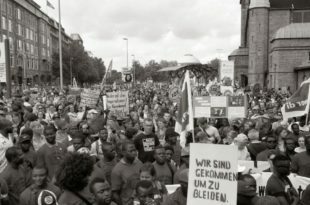 In order to connect the struggle against exploitation in Europe and the one against the political conditions of its reproduction it is necessary to keep together minimum wage and welfare on a European scale. This means neither to distribute the crumbs of social security cushions, nor to call for national minimum wages according to the hierarchies imposed by the processes of valorization and by the command on social cooperation. Rather, it means to pretend a minimum wage equal in every place of Europe – included the special economic zones established by Europe outside its political borders, such as in Turkey – in order to overcome the precarity-maze of different labor contracts and to trigger transnational processes of organization. It means creating the conditions according to which the general tax-system at a European level can support an income released from labor. In such a way, the strike could concretely attack Europe, its wages, its welfare and their function within the government of mobility. 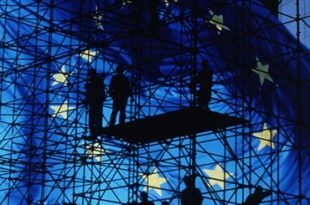 A European welfare can be also the practical alternative to the ongoing government of migrations, since the politics of citizenship cannot be based again on nationality. The welfare granted to those who arrive and crisscross Europe should be the dynamic base of citizenship in Europe. The minimum wage should not be the simple acceptance of the existing misery, as much as welfare cannot be a mean for excluding migrants from Europe. Rather, it must be the material legitimation of the freedom of movement. 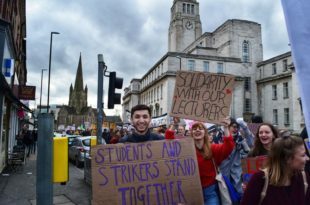 Once we take the move from the necessity of overturning the power relationships which affect us, we can also understand the global meaning of incomes and wages, precarity and mobility and arm the strike with an effective offensive capacity. The time of laboratories is over and we need a political initiative deployed on the same level of the capitalist attack that we are experiencing. Once more, however, the watchword of the strike opens up the question of crisscrossing working places and of organizing the unorganizable, of connecting fragments of labor separated by different conditions and by the government of mobility. The politics of adjectives – the social, metropolitan, mixed-race strike – should not mean just a way out from the problems entailed by the name and fall back into another event which jumps over the objective difficulties of the process of organization. 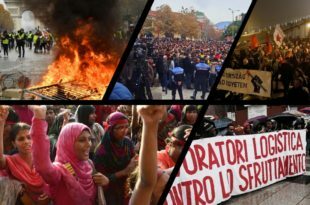 In Italy this story – which is the story of a defeat – was already written by the General Estates of Precarity, that did not match up with their own gamble – a strike of precarious workers against precarity – which was nonetheless the only one that, in the last years, pointed out a long term political and organizational perspective. 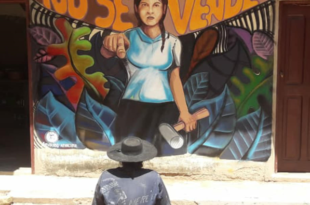 The adjective «transnational» does not pretends to solve the problems posed by the name, but rather defines the coordinates and the scale of a strike that is a project. This strike should match up with the novelty of its fragmented and mobile subject. Before we imagine forms, we must know that the subject is neither uniform nor homogeneous, and that the political communication among different figures of labor is a precarious one. In order to plan the form of this strike, we must find out a shared practice, not only sum up the existing ones. This strike will occur neither tomorrow nor in a month, and those who, in Italy, are thinking to identify it with the usual Autumn-date of grassroots unions are condemning themselves to a ritualistic demonstration of impotence, which is necessary only to attest their own existence. This strike must be translated within different European context so to be expansive and to cross and overcome territories. This strike must be a political strike, because it will deal with the practical possibility of opposing the government of mobility. This strike is a destination that we can approach by promoting coordinate initiatives that, in each place of Europe, will clearly reveal the political problem of the government of mobility starting from the common claim of a minimum European wage and of a European welfare. In this way, we will be able to establish a precarious political communication that could turn individual mobility into a mass process of organization. The transnational strike for a minimum European wage and for a European welfare must be the powerful discourse that each precarious, migrant and industrial workers brings in his or her pocket while moving across Europe.